Many conferences and programs use a process where speaker proposals are solicited from Speaker Authors. Generally, a Call for Proposals is posted on the organization’s website or sent to their list of speakers and members anywhere from one month to more than a year in advance of the conference. We bet you’re wondering: are these a waste of time? We have found that many conferences and programs are anxious to receive proposals from speakers they haven’t heard before, and being both an author and a speaker may give you a leg up on your competition. Cathy and Lois and their clients have all benefited from completing calls for proposals. Ask if a fee will be paid to presenters. This may dictate whether you want to fill out the proposal. In order to do these most productively, we suggest keeping an electronic folder of current topics and key information all in one place so that you (or a staff member) can quickly and easily complete these requests. Session title. Have a punchy, compelling session title. Better yet, use the title of your book so that you can highlight your book in your proposal. Session description. Create a short (less than 100 words) description that is energetic and engaging. If you’re not gifted at writing these, ask a marketing friend or professional to craft your message. You’ll use this again and again. Learning objectives. Write at least three learning objectives for your program. If the association or group has competencies, be sure to connect your objectives with their competencies showing how your program directly benefits their attendees and meets their needs. Speaker bio. Craft a short (100 word) bio highlighting your credentials that relate to your audience. For example, Cathy is a former HR professional, and she highlights those credentials when applying to HR groups. Picture. Use a current, high definition, professionally taken photograph of you in your proposal. You don’t want to show up for the engagement and your decision maker is looking for a much-younger version of you. Link to a video or other proof of performance. Many conferences expect their speakers (especially keynote speakers) to have a current video. In lieu of a video demo, you may be asked to supply testimonials from other meeting planners, or a composite score from a past program. References. In advance, ask at least three of your best clients to serve as your references for these proposals. You might also request that they post a recommendation on LinkedIn. Connection to their theme. If the conference or program has a theme (and many do today), then tie-in your presentation to the conference theme. If the conference has a carnival theme, then use a title with clowns or amusement rides. If the theme is about rock ‘n roll, rock it out with your program’s title and description. You’ll be more likely to gain the attention of your decision-maker when you tailor your proposal to meet their needs. Use the meeting theme in the subject line of all communications. This may actually set you apart from others. 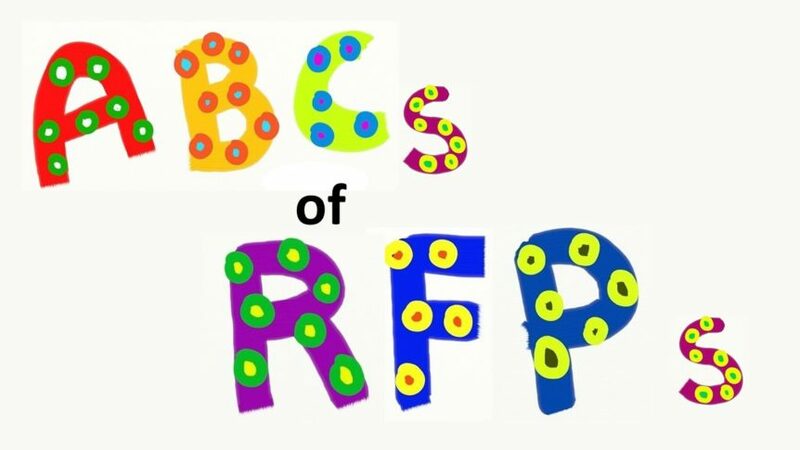 Activity: Create a file with everything you need for responding to RFPs. Every time you add a new presentation or program, add this information to your RFP file so you can quickly respond. * This article is excerpted from Cathy’s and Lois’s forthcoming book, The Speaker Author: Sell More Books and Book More Speeches, available June/July 2019.